← Don’t be Fooled by Fad Diets this New Year. Honest, I am not paying US News and World Report to rank the DASH Diet as the number one diet year after year. But seriously, being voted #1 for the 5th year straight? They are trying to tell you something, the DASH Diet is good for you, there has to be something to it! The DASH Diet is based on research. It’s proven. Originally studied to lower high blood pressure (Dietary Approaches to Stop Hypertension – DASH), this diet is well-balanced, and also effective for weight loss and diabetes control. It is a combination of low fat dairy products, lots of fruits and vegetables, nuts, grains, and smaller portions of lean meats, fats and sweets. It is easy to follow, allows for treats, but is focused on plants. The most difficult part of changing your diet, is coming up with a plan that you can actually stick with. If you are allowed to eat a variety of foods, then it’s likely that you will enjoy eating, and therefore sustain that diet over time. The DASH Diet is that diet. It is good for your health. It is enjoyable, easy, and therefore sustainable. 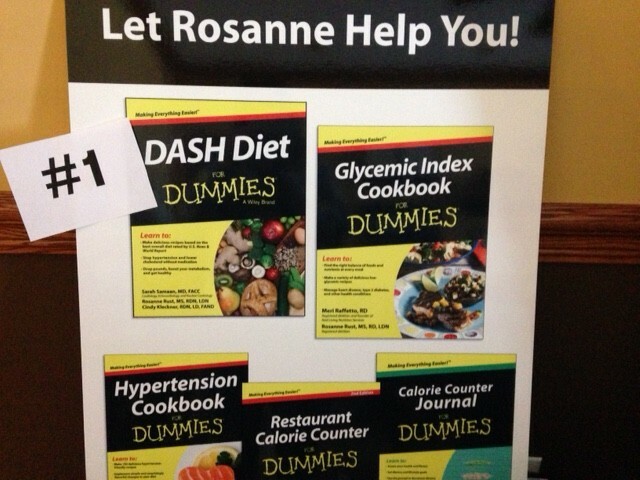 This entry was posted in Book Review, Heart Disease, Misc, Weight Loss and tagged #1 diet, dash diet, diabetes, eat right, heart, high blood pressure, hypertension, lose weight by Rosanne Rust. Bookmark the permalink.